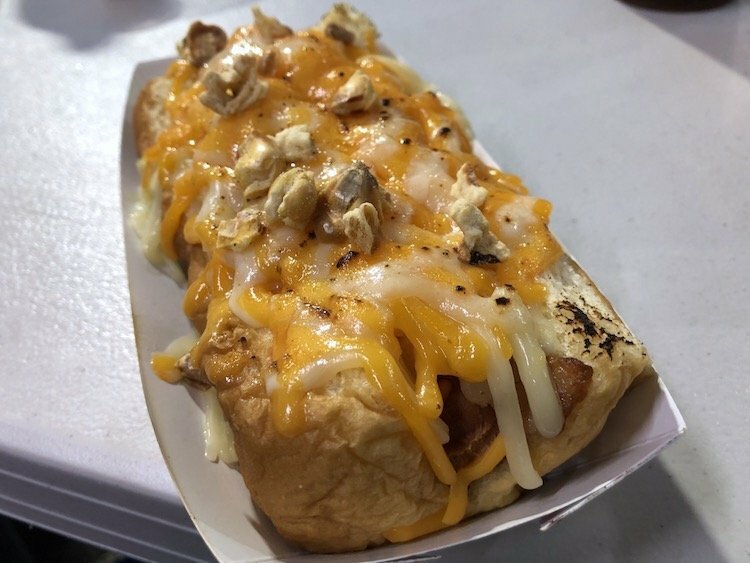 Before this Colombian Fast Food revolution started in Miami, someone had told me about Los Perros and their hot dogs aka the Superperro (Hot dog with Mozzarella Cheese, Ketchup, Mustard, Sour Cream, Pink Sauce, Crushed Potato Chips and their special Pineapple Sauce). Wow, is really all I can say about the Superperro, pretty tasty stuff. They do have a few other dogs you may want to try out, including a Colombian Sausage. As for their hamburgers, I ordered the Hamburguesa de Carne (8 oz. patty with Mozzarella Cheese, Lettuce, Tomato, Ketchup, Pink Sauce, Sour Cream, Crushed Potato Chips, and their special Pineapple Sauce). Also on the menu is a Hamburguesa de Pollo (same as their Hamburguesa de Carne except with a Chicken Breast) and the Porkys (everything the Hamburguesa de Carne has plus Bacon and Ham). The patty, believe it or not, has a nice flavor and the toppings complement it well. Sometimes the sauces at the Colombian Fast Food joints can be overwhelming. My wife ate their Meat Empanada and thought it was great. I definitely want to come back and try the Porkys and their Maicito de Queso (sweet Corn with Mozzarella Cheese, Crushed Potato Chips, Pink Sauce and their special Pineapple Sauce). Los Perros is open pretty late so if you’re jonesing for a midnight snack this is definitely the place. You definitely need to go back a try a ChorriPerro…. Hot dog made with chorizo sausage mmmm mmmmm…. Are you admitting to knowing what I taste like?